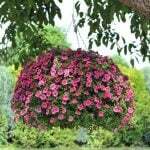 Foliage gardens require less upkeep, since they don’t require the deadheading that flowering plants do. 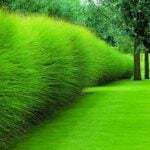 Green is one of the most visually calming colors, so planting a garden with foliage tends to make a space worth relaxing in. Without flowers, a visitor to the garden tends to look closer, appreciating the texture of a leaf, and the variations of color and form. In short, a foliage garden can be a plant lovers dream. 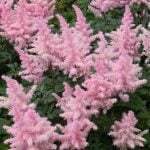 An ‘all foliage’ garden tends to look pretty for a longer season…flowering plants use so much energy – they tend to go quiet a good part of the year when they aren’t in flower. First of all, the same old rules of design apply to foliage plants. Plant in groups of 3 or more, and contrast textures, form and colors. 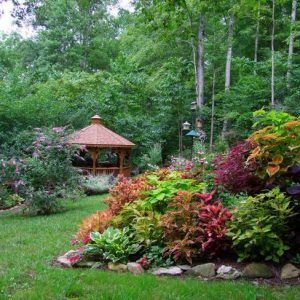 This is easier to do in a foliage garden because you don’t have the changing colors of flowers at different times of the year to think about when planting the original design. What yous see, is generally what you will get all season long, with minor exceptions. Plant sun plants in sun, shade plants in shade. Plant water loving plants together so they can get extra attention from the hose, and drought tolerant plants farther out where they might not get watered as frequently. Learn what colored foliage looks best with what. There are all kinds of guidelines out there, but I say this is the place to experiment and learn about basic design by trying different combinations. Some places to start? 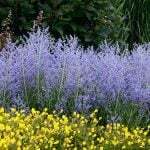 Yellow/green varieties tend to contrast nicely with gray or purple leaved plants. 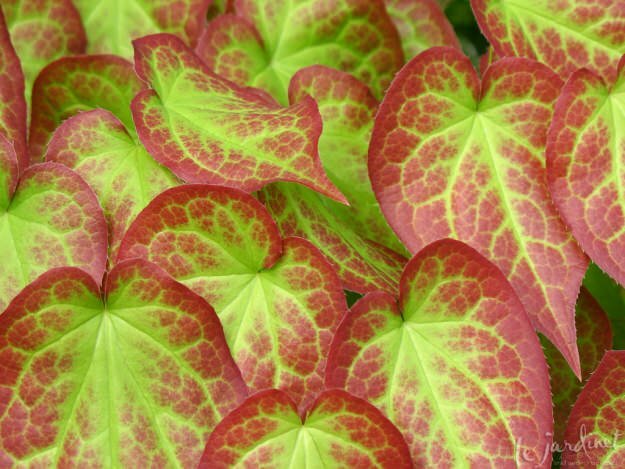 Variegated or pattered leaves look best next to a solid green for contrast, without looking too busy. Brightly colored foliage, such as reds look best as a focal plantings, with simple leaves nearby to set them off. Don’t forget about form and texture, which can be very important when you are using just leaves for your garden interest. 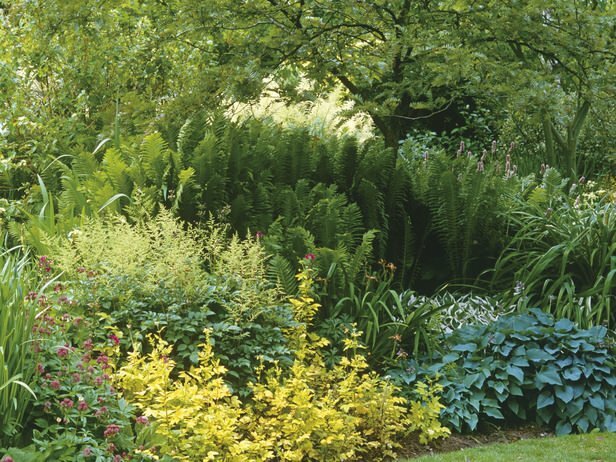 Large, bold leaved hostas look amazing next to the fern like leaves of a bleeding-heart. A tall vertical ornamental grass may be a great “exclamation point” to break up a bed of low growing sedums. You get the idea. Contrast. 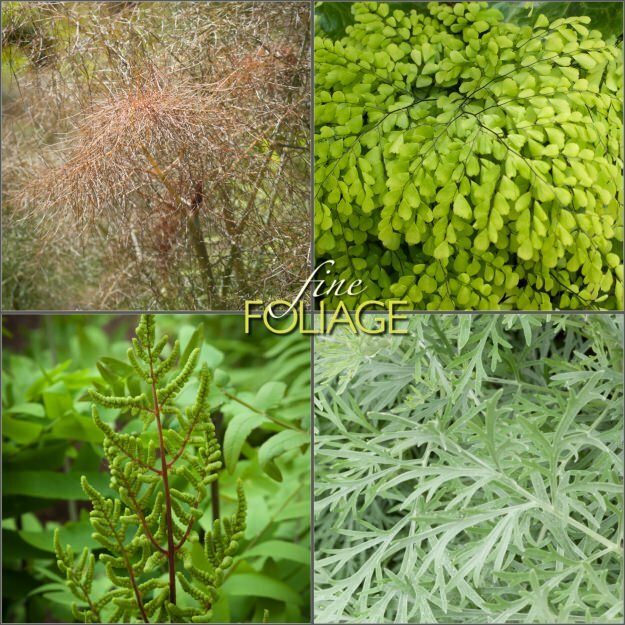 Now that you have the gist of it, try foliage plants for gardens. 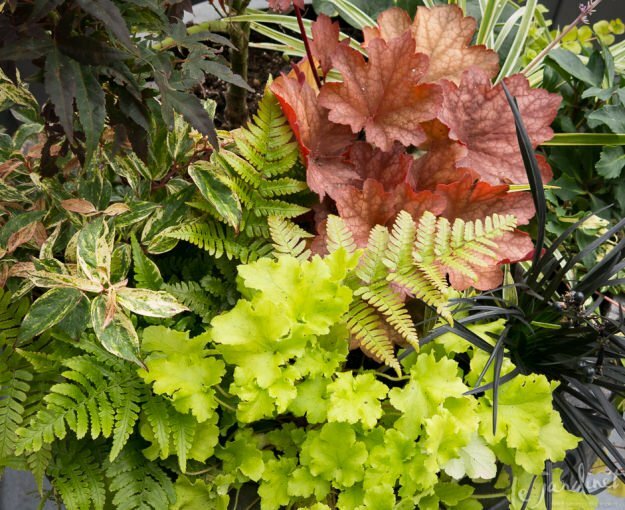 Or try a small foliage garden in one corner with just three. It’s a great way for any plant lover to really get to know what gardening is all about, and a great design lesson too. I want to thoroughly recommend a book called Fine Foliage by Karen Chapman and Christina Salwitz. This book was a best gardening book Amazon 2013, and with good reason. Great photos, and great advice for foliage combinations. (And no, I don’t get anything for saying that! 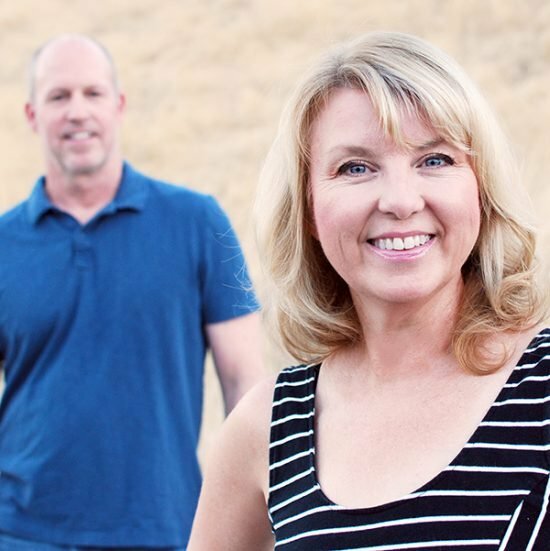 They also have a great gardening blog as well, with amazing ideas. So give foliage gardening a go, it’s rewarding and lower maintenance as well.